My first time driving in Greece was a baptism of fire. I was asked by the AA to write their Essential Mainland Greece guide, and although I’d been going to Greece at least once a year ever since I was a teenager, I’d never actually driven in the country. I nervously drove out of the old Athens airport, immediately took a wrong turn and found myself headed into the city instead of out to Cape Sounion, where I’d planned to spend the first night. And there was a month of this still to come. Four weeks later, however, I was even able to drive across Athens to return the car to the airport, with several thousand miles on the clock and not even the hint of a dent. Mind you, I was lucky to escape being dented myself when I parked the car one Friday night in Kastoria, not realising I was right where the Saturday morning market was being held. I thought it had been easy to find a parking spot. Next morning I only escaped because there was a torrential downpour, and I managed to maneuver the car out from between two stalls before the frustrated stallholders could get to me from their shelter. Markets are one of the hazards they don’t warn you about. 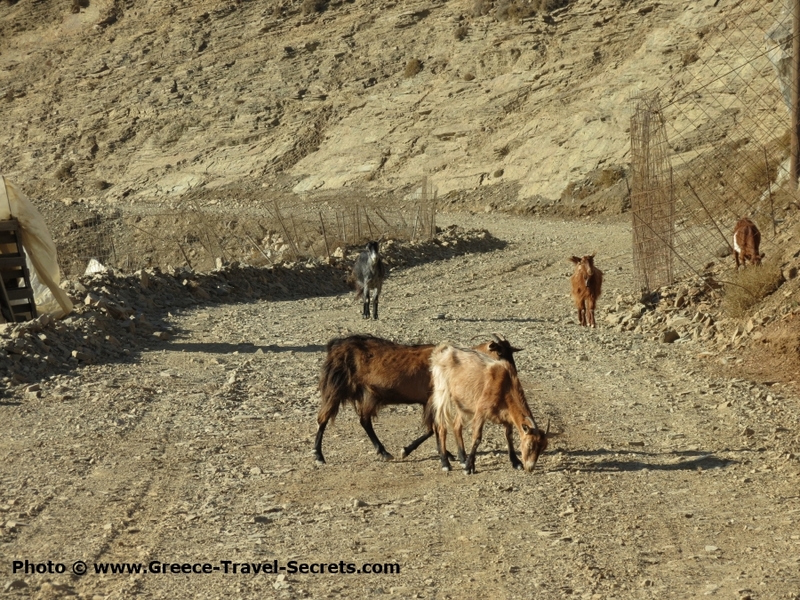 You expect to find herds of sheep wandering along mountain roads, you expect to find Greek drivers overtaking you on blind bends like maniacs (though these are very much a minority) and you expect the roads to be in a poor condition when you get into more remote areas. But you don’t expect a big static object like a market to be a problem. But they are. The normal route through a town can be blocked, and of course local drivers know this and avoid the area or make a diversion on market days. No road signs warn the innocent visitor, though, and as happened to me in Volos one day, you can find yourself with nowhere to go but up through the middle of a street full of stalls, with less than a foot to spare on either side, and irate shoppers and sellers staring at you. Such experiences are the exception rather than the rule, though, and since then I’ve driven thousands more miles in Greece and the islands, discovering what a wonderful country it is when you’ve got the freedom of the road. From the mountains of northern Greece and of Crete, to the harsh, hot landscape of the Mani in the southern Peloponnese, Greece has enormous variety to offer the visitor. 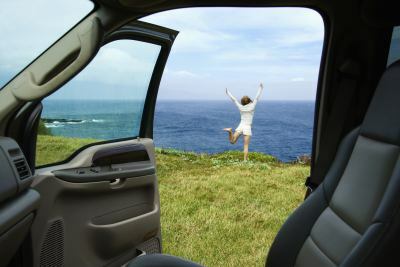 Fewer people think of it for a driving holiday, in the same way they think of going to France, Spain or Italy, say, and as a result the roads are emptier and there’s much more of a feeling of freedom and discovery. We've chosen just five of our favourite drives, although we could have picked twice as many and still not run out of ideas. If all you’ve seen of Greece so far has been the quiet islands, the beaches or Athens, then hit the road sometime and discover why for a four-wheel holiday it’s a five-star destination. 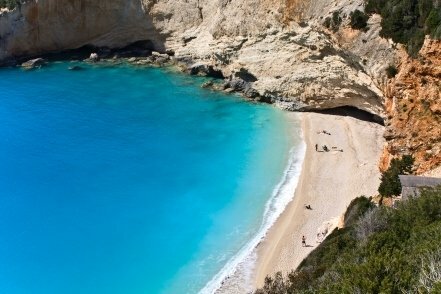 See the choices on our Best Drives in Greece page. See our Driving in Greece Practical Information page.